New Zealand Café features a blend of high quality seafood and Asian Cuisine in a sophisticated setting. 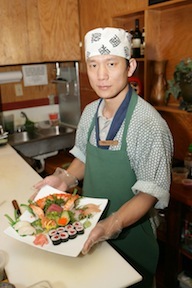 We are the premiere dine in and carry out restaurant with the highest quality seafood and the freshest ingredients. Our menu focuses on select dishes created to capture the distinct flavors and style of the major culinary regions of Asia. Our menu is a fusion of culinary influences stemming from eclectic New Zealand cuisine to Asian gourmet. We are truly the best take out in town! New Zealand's cuisine has recently come into its own, excellent restaurants have popped up all across the country, serving home grown fare as well as a wide variety of international cuisines, particularly Asian. New Zealand Café is blossoming into a series of restaurants in New Zealand and is rapidly spreading to the United States. This country was the base for filming The Lord of the Rings. Discover more about the country of New Zealand at www.newzealand.com.